This page is designed to collect comments about the establishments in town. Please give us your praises or criticisms for any of the restaurants, food services or businesses in Steveston that you have personally visited. When submitting a review, please include the date of your visit. We will publish your responses right here, unless you state otherwise (names will be withheld by request). Today was my very first visit to Steveston Village , while attending a business meeting. I was mesmerized by the beauty of this place, it is incredible. I know Fort Langley , I know White Rock but this place is by far the most beautiful that I have encountered so far in Canada . I am going back tomorrow, rain or shine, for a taste of Dave's fish and chips and a stroll on the pier. And yes, shopping, I forgot the shopping. I am writing on behalf of my mother who has lived in Richmond near Steveston for 45 years. We have heard unsettling rumours that stores on Moncton Street may be knocked down for new developments which include apartments above stores. We have also heard that the Steveston post office will be shut down - that's not something that can be stopped, I suppose, but we were wondering what the fate is then of that heritage building and museum. If Steveston is developed in this way it will cease to be different, special and historic or, indeed, a village. We are concerned and interested to know the fate of this important part of Richmond 's history. We have been living in Steveston for a year. This is the best place we have ever lived. The people around town are so nice, and we felt welcome from the first day we moved here. I wanted to thank all the Steveston merchants who participated in the Steveston Trick or Treat event on Saturday, October 28, 2006. We not only found great costumes for our kids at the SOS Children's Charity Thrift Store, but we had a blast following the map of all the participating stores to do our Trick or Treating. It was by far the most fun we have ever had going Trick or Treating. What an amazing town! Rob, Carrie, Rachel and Chelsey. I just thought I'd let you know a little story to show how community events do indeed spawn business. A friend called me over a month ago to attend the sardine festival in Steveston. I live in Burnaby and hadn't been to Steveston for many years but decided to go as it was a beautiful day. We had fish and chips at Pajo's then coffee at another establishment and had something sweet at the Bakery. I bought a decorative plate at Courtyard Galleria and then we found Stepin'out Shoes. My friend and I each bought a pair of shoes and I ordered a second pair that wasn't in stock in my size. When I got the call that my shoes were in my friend and I took another visit to Steveston and my mother-in-law came along. We once again had fish and chips, my mother-in-law is English so we had to visit the British store for several purchases. Once at the shoe store my mother-in-law bought two pairs of shoes and ordered another pair. This time when we went back to pick up the ordered pair of shoes I invited a different friend to come along. We didn't have fish and chips this time (the timing was wrong), but this friend bought some fancy reading glasses at the shoe store as well as both my friend and my mother-in-law made purchases at the candy (fudge) store. Oh, and I made a couple of purchases at Sasy Lulu Boutique to the tune of $l35. ALL THIS BECAUSE OF A LITTLE DRIVE TO THE SARDINE FESTIVAL!!!!! 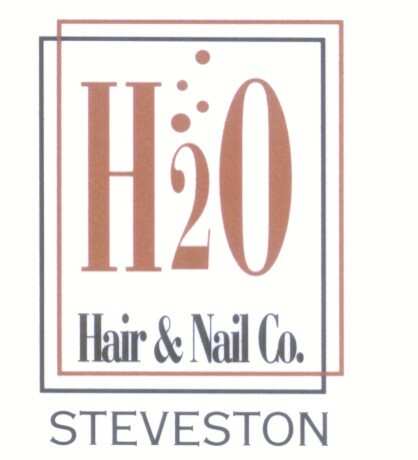 I have just come back from having my hair done at H2O Hair Salon. I have been going for about a year now, and I think I should let everyone know that Ludi is the most creative hair stylist I have found. Everywhere I go, people compliment my hair. It has given me a new level of self confidence. H2O is a Village friendly place, comfortable and friendly. It is also kid and dog friendly, for those of you who like. Please ask for Ludi, she will give you a lift! Please try this if you are ready to make changes in your life. I have just had a reading with Catherine Dean, 12 th House of Healing. She is located in the Hepworth Building . She has helped me through my current surgery with healing remedies and massage and now I have had my very first Astrological Reading. For those of you who think this is �airy fairy' I would ask you to think again. Catherine is kind and gentle with unique skills when counseling clients. She has made a profound difference in my life and would recommend. She has 20 years of Nursing behind her, and I would recommend anyone who is looking for help to give her a call and make an appointment. She has helped me when all other traditional medicine has failed. I just wanted to say thank you to Kristy at Salon Six on Bayview St. It is a new business and I was just so impressed with how put together everything is. I have had my hair done there, and so have many of my friends and family members. Kristy is just such an excellent stylist. She also now does my nails, and I love it. I live in Vancouver and do not drive, but the trip to see her on a regular basis is most definitely worth it!!! I would very much recommend Salon Six to anyone visiting Steveston. We recently went to the Tapenade Bistro for the first time to have dinner and we found it to be Excellent, Excellent, Excellent!!! The ambiance is wonderful, the service outstanding, and the food perfectly prepared and presented. It turned out to be a wonderful dining experience and, if anyone hasn't tried the Tapenade Bistro they definitely should. It is a dining at it finest and something definitely not to miss. My friends took me to the best little Mexican restaurant in Steveston but I can't remember the name, could you help me??? I recall it being off the beaten path and wonderful. They will be glad to know. The name is Little Mexico Cantina on Chatham street. I understand that children often present challenges in a restaurant, however I am fairly certain that had a group of adults accidentally spilled something on the floor, they would not have been handed a broom and told to clean it up themselves. We are cognizant of the fact that children are messy, and we generally tip accordingly as we understand that wait staff might have some extra work to do when we leave. Although our server did a great job, management was appalling in the lack of customer service they displayed. We have always considered Steveston a family destination, and continue to do so. However we would strongly advise that anyone dining with children avoid Shady Island Restaurant. Yes, as others have written, Steveston is a great little place...I love it and love to visit, also love dine, and to do some marine and other shopping there...but the harbour is another matter. Pleasure boats are not given a welcome. There is no apparent moorage for visitors even though there are thousands of pleasure boats at marinas up the river. Moorage signage is totally negative where pleasure boats are concerned. And the pleasure boat moorage that is available, which is not marked as such to my knowledge, requires tying up to boats that are awkward to clamber over to reach the dock, especially for some of our more elderly guests. Contacting the harbour authority to arrange moorage is not always easy and when one does dock inadvertently at the wrong spot the harbour authority is very curt, almost rude, in communicating the error. Which leaves a very disappointed, even distressed feeling after visiting the place. Provide a reasonable dock for visitors, pleasure or commercial, or have staff more available at the docks (at least at an arrivals dock) and there will be no need for any bellicose encounters. It's so quiet at night and mostly throughout the daytime it's so peaceful - you can hear the wind in the trees and birds - no planes!!! Every weekend I putter around the entire village, getting in my exercise and meeting the people in the community, poking around the little shops, having a coffee at the Steveston Café, buying my meat daily from Herringer's, the local butcher, and having dinner most every Saturday night with my husband in our favorite restaurant, Kisamos, then hopping across the street to the Buck and Ear for an after-dinner drink and entertainment. Even though the Village is devoloping rather quickly, I doubt it will ever lose it's tranquility because everyone who moves there seems to want help retain that wonderful peacefulness. During a recent visit to the Steveston community, our daughter took us to eat at a fish and chips restaurant called "Jake's on the Pier." I was as (or more) impressed with the ambiance, the food, and the service as I ever have been anywhere. I loved the place so much, I vowed to return someday. As we returned to the place we'd parked our car, we visited a small shop with Christmas carolers in the front window. I thought it was a Christmas shop, but found the shop selling so many items that appealed to me that I walked out with nothing! Now, I can remember neither the name of the shop nor the street upon which we parked . . . and I find myself wanting to contact them regarding an item I've decided I can't live without! I entered "Jake's on the Pier" into my computer's search engine hoping to find a map, so I could guess at the street upon which the store is located . . . but, alas, from the map you show here I cannot make the determination. My suggestion for your website (under the map area) is this . . . as the buildings are designated individually, I would've benefitted if I'd been able to click on a building and find the name of that building . . . hoping to recognize the name of the store if I saw it. I don't know if there is a way you could do that . . . link the name of each building to the brown designations on your map, but I would've felt soooo rewarded had it worked that way for me. Nevertheless, from the feedback I see on your website, I have found there is much more to see at the Steveston Heritage community than I have experienced, and I am very much looking forward to exploring the entire area in the future. I am currently visiting in the Steveston area (from the state of Kansas) and I have to tell you that I have fallen in love with this little city. I have spent day after day just walking around the area, taking pictures, trying new foods, watching the people. I can't get enough of this lifestyle you have here and I am already looking forward to coming back soon for another visit. Another thing that I would like to point out is the friendliness of the people in Steveston. I have not encountered one single person that was not nice and polite and that seems to be a rareity these days. Thank you, the people of Steveston, for making my holiday the best I have had in years. My hat goes off to you. Hi, we visited Steveston for the first time in July 2002. Stayed with my sister and her family who live there. A relaxing and peaceful place to be (usually, unless you're having a tall ships event, which you were!). It was nice to be able to walk everywhere for a change. Particularly enjoyed a beautiful evening at Papi's Ristorante Italiano. We have never had such superb food and service anywhere else (the chosen wine was Australian). I could eat there every night! . Your summer weather was perfect and the buddhist temple welcoming and relaxing. I would have loved to have seen washed clothes flapping in the breeze in people's gardens, but even in paradise you can't have everything your heart desires! We'll be back. I have been reading the Steveston Village Newsletter and would like to submit this picture for possible inclusion on your photo page. The picture was taken just before going out on a real pacific adventure at the beginning of the fishing season with our vessel the Pacific Adventure. We have just moved to Steveston with our two commercial fishing vessels and I am enjoying immensely the photo opportunities and lifestyle here in such a picturesque and friendly community. I wound like to say that I was very impressed with the new walk along the shore front from Britannia Heritage Shipyard, all the way to Stevestons Bayview St. The completed connection of our dyke trail is much more pleasant for walking than cutting through traffic.. The walkway of Imperial landing is wide, open, and very in keeping of the historic days gone-by. I'm impressed. Steveston has really grown over the years, and its nice to see the old and new combining to make Steveston a, picturesque, unique, warm and friendly place to raise our kids. Love the Steveston Village site; love Steveston, too! There are two great thrift shops in the Village, each fully operated by volunteers. The Hospital Auxiliary Shop has over 25 years service to the community and Treasure Cottage Family Thrift Shop is celebrating 10 years of dedicated work for BC children through SOS Children's Village BC. Just thought you might like to know, and hope there may be an opportunity to feature these two non-profit, voluntary community businesses on your website. My socks had never been knocked off... until I sat down in a quirky, dim-lit, mysteriously romantic little restaurant hidden among the woodwork and, literally, dug into the exquisitely sumptuous and mouthwatering meal its professional chefs had diligently prepared for ME! Oh! how I ravenously enjoyed those buttery, finely herbed roasted potatoes, the plump, fluffy pilaf of tantatlizing rice, all coupled and intermingled within a sybiosis of my greek salad and tender, tender minted lamb! I soon began to carelessly apply zadziky sauce to all items prior to their entrance into my mouth, and with what magnificent rewards! It was the greatest meal possible! Where are my socks? I lost 'em at Kisamos The Restaurant! As a Steveston resident we are so pleased to now go to the Steveston Hotel for a delightful dinner and beverage. The atmosphere, the lovely decor and very pleasant staff has brought us back. Keep up the good work, and hats of to the chief. You have done a wonderful thing for the Steveston Village. We also enjoy bringing our guests in from out of town. I just thought I would send a short note on my favorite restaurant in Steveston. The name is Kisamos and my family and I have enjoyed every meal there. This is without exception one of the very best for consitient food preparation, price and excellent service. I found out about this page in the Vancouver Computers magazine. Excellent page keep up the good work. Just come back from the totally renovated 3rd Avenue Pub now called The Buck and Ear. Gorgeous English style pub with comfortable arm chairs and fireplaces. New selection of GREAT beers from around the world and a new menu that will tantalize any appetite. The BBQ Salmon on a kaiser was the best I had ever eaten. If you like the Foggy Dew in Richmond then you will love this. Good-bye dump hello class!!! This is exactly what Steveston needs. On January the sixth, I decided to take my wife to Steveston for dinner. We decided to try the La Tandorri Food of India. We were a little pessimistic as we had previously tried Indian food that we did not find to our liking. We were pleasantly surprised to find, that the taste and quality of the food was too fantastic to describe. We chose Butter Chicken curry, Mutton curry, Garlic Naan, Rice Pillau and Mango chutney. We had cups of Chai (Indian spiced tea) after our dinner. Even though the quality and taste of the food was superb, it was nothing compared to the kind, pleasant manner in which the two female employees served and treated their customers. I hope and wish the best of success for this restaurant. I think I will go there tomorrow night for dinner again! As per your request in the Winter/Spring edition of the Steveston Villager I am commenting on SHADY ISLAND SEAFOOD. We have attended the Shady Island numerous times, winter, spring, fall and summer. It is a delightful restaurant with very good and consistent fare. What gives it a "little" extra is the couteous staff and the wonderful water setting, especially in the summer. We will continue to enjoy this location for years to come. For my wife and me, Steveston is the most relaxing place to be. Living a stressful life, there is nothing better for us than to wander around this village and especially at the public dock, with all the fishing boats. We just love it.